THE COURT: “… I heard expert evidence on Japan and its adherence to and enforcement of foreign parenting orders from Mr. Jeremy Morley, a New York attorney with an international family law practice and a focus on Japan and Japanese child custody law. Mr. Morley has testified in other Canadian court cases and in 2016 was accepted as an expert in British Columbia proceedings before Justice Arnold-Bailey. Relying on Mr. Morley’s evidence, Justice Arnold-Bailey denied mom’s request to take the children to Japan. I accept Mr. Morley’s evidence regarding dad’s likelihood of access to [the child] if mom is permitted to move with [the child] to Japan and dad’s likelihood of success in getting [the child] back from Japan under the Hague Convention if mom takes [the child] to visit Japan and doesn’t return. 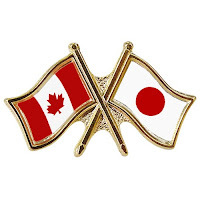 Mr. Morley opined that if mom relocates to Japan, dad will not have meaningful access to [the child] unless his mom allows him to do so and dad will have no more than a slight chance of success in getting [the child] back from Japan should it be necessary under the Hague Convention.